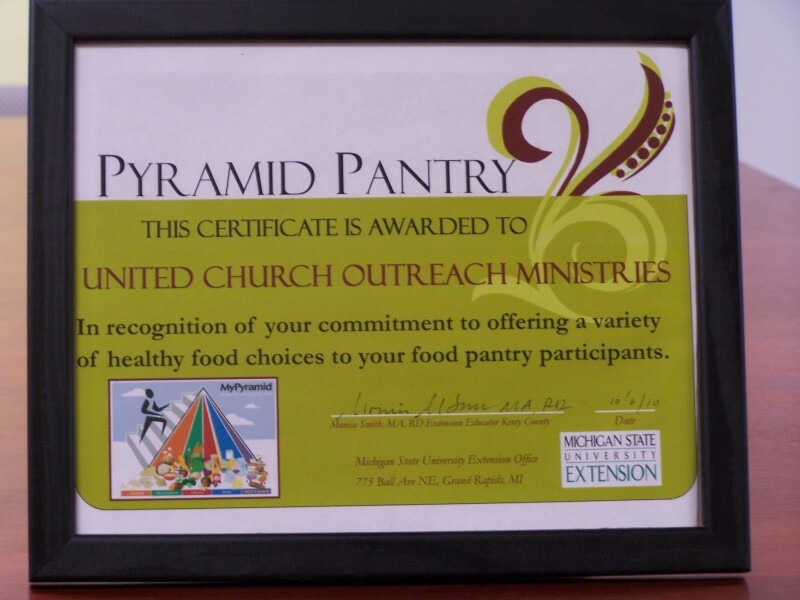 On October 6, 2010, United Church Outreach Ministry was awarded the distinction of Pyramid Pantry by Michigan State University Extension. UCOM was selected to take part in a pilot program evaluating the availability of nutritionally sound food options at the food pantry. 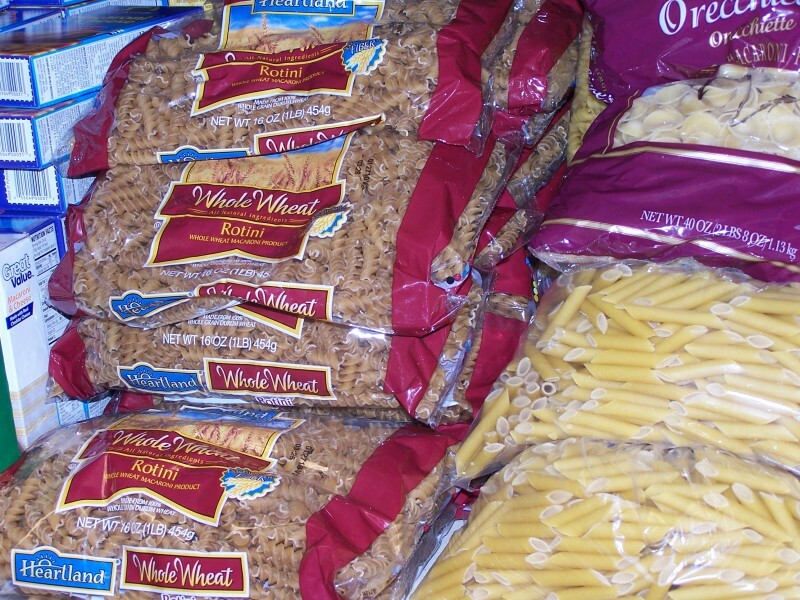 Four key pantries in the Grand Rapids metropolitan area were included in the program, which used MSUE nutritional interns and two random surveys of a pantry’s food supply to determine eligibility for Pyramid Pantry status. The Food Nutrition and Health program at MSUE evaluated the four pantries using criteria based on the USDA’s requirements for “Senior Food Pantries." 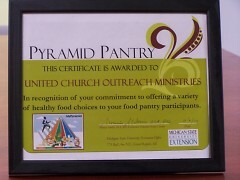 UCOM along with two of the other three pantries surveyed in the initial study were awarded the Pyramid Pantry certificate, for excellence in the pursuit of nutrition. Monica Smith, Registered Dietician and educator at MSUE in Grand Rapids, said that she hopes to expand the pilot program to eventually survey any of the 15 pantries interested in the voluntary program. The goal of the program, according to Smith, is to help pantries pinpoint areas where they are excelling in offering healthy options and also to identify those areas in which they could be doing better. UCOM Program Director Shawn Keener pointed out that providing nutritionally sound options for food pantry clients has been a top priority for UCOM and was happy to see that effort acknowledged. 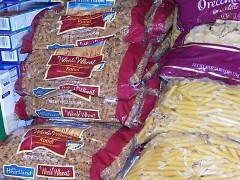 “We are very pleased to be recognized as offering healthy options in all of our food categories,” said Keener. UCOM plans to continue to expand its healthy food options and intends to display its Pantry Pyramid certificate proudly as a reminder that you need not sacrifice nutrition in order to provide food for low-income families.